Post news Report RSS	News : A new alpha demo for the vehicles! In the new demo you can play a tank training level, where you will have to destroy a number of targets in less than one minute before reaching the safe zone. In the full game, tanks will be used both in the Humans campaign and the multiplayer mode when you play as, well, the humans. The game system for multiplayer works by levelling up. You start with a civilian car or a services vehicle (bus, ambulance, fire truck) and you have to complete a series of simple missions (surviving against time, going to the hospitals in the city, putting out fires in buildings) to get points and level up, changing your vehicle into a tank, a plane, a ship, and finally, the HADES giant robotic suit. On this part of the demo, you will fly an airplane through a series of yellow rings, destroying targets at the same time. This will be useful as in the finished game you will be fighting against the giant monsters while flying among the buildings of Atomville. And as we will also have civilian and services vehicles we decided to include the fire truck. We said before that the demo would showcase civilian cars and police cars, but we wanted to include a more complete experience, and more different, so we included the fire truck instead, as it can put out the fires on buildings. This is the last demo for the Destruction of the Nuclear Monsters during its Alpha cycle. The game will continue with a fast development to move towards the Beta cycle now that the basics for gameplay and graphics are in place. In the upcoming months we will finish the Atomville open map, several smaller arenas for the fighting as well as all the core mechanics of the game, including the network components for the multiplayer. Once we are a little further into the Beta stage of the game, we will release the final demo of the game, with actual multiplayer gameplay to let you see first hand how the full game will play. Also, as we get closer to the end of the development cycle we will seek options to get the needed funding to add the last details and improve even more the quality. But for all of this, we need your support. Every bit of support you can give to the game is very important, be it sharing links to our different profiles, voting on Steam Greenlight and by leaving your comments and feedback for the game. 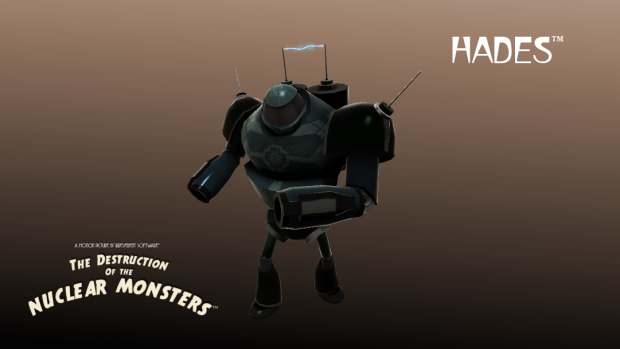 We will keep posting updates here on IndieDB daily, as well as on our official Twitter account (@IrrSoft) under the hashtag #NuclearMonsters for you to follow its progress. Thank you everyone for reading, and see you in our next Dev. Diary!